Lovers of Australian history will surely be interested in the upcoming history conference being held in the Blue Mountains later this month. With a conference theme of Colonial Society and Beyond the one-day event will include a broad range of speakers, which include: Paul Ashton, Silas Clifford-Smith, Paul Innes, Ian Jack, Glynis Jones and Jill Roe. The conference will be opened by former long-time president of the RAHS Professor Ian Jack. The keynote speaker will be Prof Paul Ashton who will talk about the early years of the colony, while historian Silas Clifford-Smith will talk about the importance of gardens to colonial society. Powerhouse Museum curator Glynis Jones will discuss colonial dress and fashion. Professor Emerita Jill Roe will talk about author Miles Franklin and her relationship with the Blue Mountains. As well as these speakers there will be a guided tour of the historic hotel by Paul Innes and John Low will give a musical interlude. The event will be held at the historic Carrington Hotel in Katoomba on Saturday 20th October 2012. Tickets are $50.00 (price includes lunch and morning tea). It may seem a tad provocative to write about the aesthetic merits of weeds, but why not? There are so many weedy plants out there, and many are also - dare I say - attractive. Their visual charms may explain their spread and persistence as gardeners get tempted to take a piece home. In the first in what I hope to be a regular series I will write about some of my "favourite" weedy plants. This month I take a look at the striking succulent herb Bryophyllum delagoense. Also known as Kalanchoe tubiflora or Bryophyllum tubiflorum this plant is a native of the Indian Ocean island of Madagascar and is part of the large Crassulaceae family. The plant grows up to 1 metre and needs little help to make a dramatic display as long as it's growing in a sunny spot. 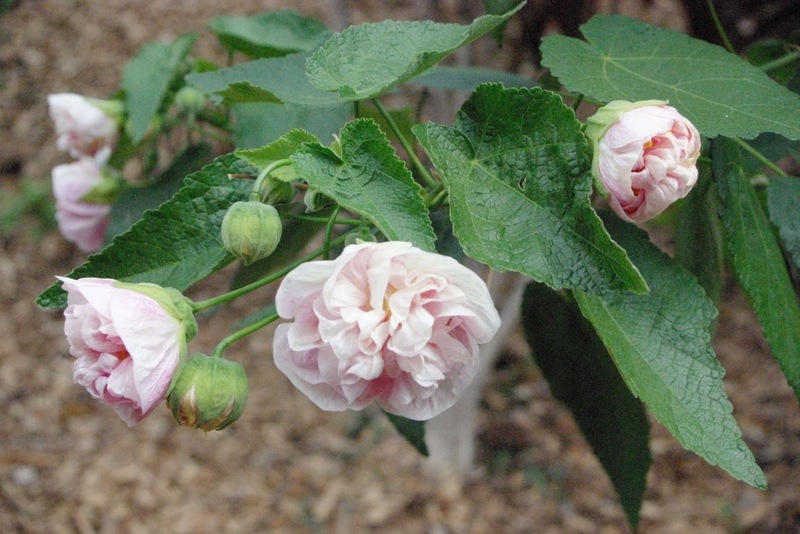 In the southern hemisphere the plant flowers during the cooler months, mainly between May and October. But be warned, NEVER be tempted to take cuttings of this plant home as it soon lives up to its common name, mother of millions. In warm temperate areas this plant forms colonies on inaccessible edges of roadsides or in vacant land. There is quite a lot of variation in the flowers but the the pretty bright red form seems to be the most common in built up areas, suggesting that humans are the main vector. As well as humans this plant spreads during flooding and by seed. As well as being a noxious weed mother of millions is reported to be extremely poisonous, especially to cattle. Eradication is difficult once established. Bush regeneration and government weed management websites recommend a combination of physical removal, poison and even fire to control. For home gardeners it's best not to grow the plant in the first place. English born brothers, John and William Gelding were important members of the horticultural and nursery trades in late nineteenth century Sydney. From 1861 the brothers ran a large retail nursery with a complementary city based florist and seed shop. John Gelding (c.1828-1900) is best known as the Secretary of the Horticultural Society of NSW and its successor the Horticultural Association of NSW. Membership of these early gardening groups appealed mainly to the States skilled working gardeners and nurserymen. In his role as Secretary and Editor of the Horticultural Magazine, John became an important chronicler of the garden and nursery trades in New South Wales. John was also involved in local government and became the fourth mayor of Petersham Municipal Council. William Gelding (1839-1897) was less prominent than his elder brother was but was an active member of the Horticultural Society and Horticultural Association. While researching their careers for an article in the Marrickville Heritage Society journal, I came to a dead-end in my research. Desperate to find out more I resorted to writing to every Gelding family member in Sydney listed in the white pages. One reply I received was from John's great-grandson Sidney Gelding who said ‘he had some information of interest’. I went to see him and was delighted to receive a copy of his grandfather’s unpublished memoir written when he was 79 in 1937. Luckily this typed foolscap family history had survived the ravages of time. After reading it I was amazed at the freshness of the observation and I knew it had to be published in full without editing and correction. Sidney’s grandfather Alfred Gelding (1858-1938) was a son of John Gelding and for most of his life he worked as a gardener. In the first part of his reminiscences, Alfred writes with fondness of his early years in Sydney’s Eastern Suburbs in the 1860s when his father and uncle first established their nursery business. He also describes the state of the Sydney bush and describes the local gentry. 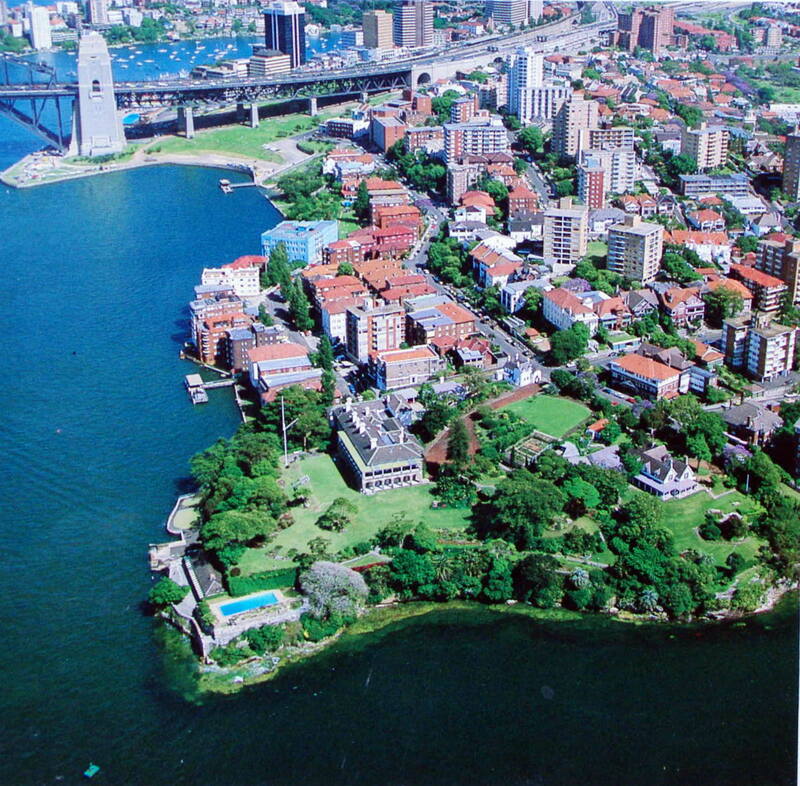 He also mentions the aboriginal population of eastern Sydney, whose camp was located on the corner of Upper Ocean Street and South Head Road, Woollahra – now one of Australia’s wealthiest addresses. 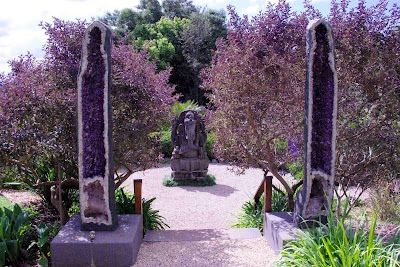 We also discover the annual flower show run by the Horticultural Society first at Sir Thomas Mort’s garden Greenoaks and later at the Botanic Gardens. These are important observations unrecorded in previous histories of the Sydney Botanic Gardens. Later Alfred writes of the difficulties in moving the family nursery to its new location in Petersham, then on the cities far western fringe. In unaffected language we read of rat plagues, transport difficulties and severe water shortages which befall the nursery and the early settlers of the area. Articulate reminiscences by working people are rare and this work written by a skilled tradesman is a delight to read. It gives us a contemporary view of the emerging horticultural trade as well as the changing city of Sydney from colonial town to modern city. Fourth son of Mr John Gelding, who had a family of 14 (10 sons, 4 daughters) – born 23rd November, 1858. My parents left England November 1852, by S.S. “Java”, arriving in Sydney, N.S.W. April 1853. My father first worked for Sir Chas. Cowper of Camden, then for Sir W. Macleay at Elizabeth Bay, afterwards for Sir Daniel Cooper, Woollahra House, Rose Bay, as Overseer for 6 years. That is where I first saw the light, on 23rd November, 1858. My father one day returning from the Bank was bailed up by bushrangers, and relieved of the men’s monthly wages. He left Sir Daniel Cooper’s employ on account of his return to England. In 1861 he established a nursery at Rushcutter’s Bay, with a seed and florist shop in the Old George Street Markets, afterwards removing the Nursery to Cross Street, Double Bay, for 6 years, then transferred it to Petersham on 24th May 1869, where it remained to his death on 8th March 1900. I well remember, in the sixties, the district of Vaucluse, Rose Bay, Bellevue Hill, Bondi, Double Bay, Woollahra, and in to the city. It was the home of snakes, death adders, etc. in those days, and you had to be very careful at night before entering your bed, or otherwise the reptile might be there before you. Myself and other boys caught many of them. The method was, a long, forked stick, placed about six inches from their necks, with a stout shorter stick, with a looped piece of strong string; when they lifted their head, lassoo them; and take a few alive to the Museum in the city, receiving 6 d or 1/- for them. Coming back to Sir Daniel Cooper’s estate, it was of course all bush from Rose Bay to Edgecliff Road, Woollahra. He had a forest Ranger, by the name of George Rawlings, and no one would be allowed to chop a stump or tree for firewood. We could only pick up the fallen branches; otherwise if caught, one would be taken to the city and imprisoned for a time. I also remember the Hon. R. Towns (Bobby), Sir John Bay, Sir James Fairfax, Hon. E.D. Gordon, T.S. Mort, E. Knox, - Smart, Henry Prince, Sir William Manning, and many others. Cranbrook was the home of Mr Towns, and Sir John Fairfax lived in the other big estate at Bellevue Hill. I often climed up a high flagstaff in his grounds to see the most beautiful sight, I thought, in the world – the sunrise coming out of the ocean like a ball of fire; also, the moon at night was a fine sight. There was an abundance of wild fruits in that district, such as five and ten corners, geebungs, native currants, etc. These were our principal fruit at that time (no other) and for acid, the boys ate the wild sorrel (a weed). The Christmas Bush was in all its glory in its wild state. Opposite Cross Street, Double Bay, the Collector of Customs (Mr Duncan) resided; along the creek was a row of fisherman’s cottages. Mr Stannard had a boatshed at the Bay nearby. Mr Regan and Mr Blackburn had market gardens along the main road, and Cross Street. The boys practically lived on the raw vegetables they would always give us for the asking. I remember with other boys of all ages (a gang) bushranging any city boys who had been roaming about all day (Sunday) and demanding some of the wild fruits, which were taken home. Being the youngest, I held the hat for them to put them in. The Day and Sunday School was opposite Sir E. Knox’s, near Darling Point Road. When a picnic was held, with the exception of the tiny tots, the others formed a procession, and walked out to Cranbrook, Hon. H. Town’s grounds, every year. Occasionally it was held at the Hon. T.S. Mort’s at Darling Point. The first flower show of the Horticultural Society of N.S.W., about 1864, was held at Sir T. Mort’s. Wonderful giant specimens of all kinds of plants were exhibited. Each gentleman’s gardener contested with each other for valuable prizes, from 1 plant to 48, requiring very large glass and bush houses to grow them in. The shows were afterwards held in the Lower Botanic Gardens, just inside the wall. At that time Farm Cove came up closer to the wall than the present day, the same with all bays around the Harbour. The Aboriginals had a camp in the bush on the corner of Upper Ocean Street and South Head Road, Woollahra, and another one at West’s Bush, near Darlinghurst. Many a Corroborree I have seen at these two places. The gins with their piccaninnies were sometimes very troublesome to the rich people when driving along the main road in splendid carriages and horses, by standing in front of them. The coachmen had to stop, or knock them down – they wanted a penny, or something for their children. I had a fright one day, on leaving the infant school (Late): running up the sandbank to the gate, a blackfellow with a long spear and I both met together. He was after a young fellow who had been teasing some of the piccaninnies; however, he did not catch him, but frightened the life nearly out of me. I’ve often seen Sir J. Robertson going home to Vaucluse the worse for liquor, swaying on his old horse – he was a good horseman. I wondered why he did not fall off on many occasions. The horse never failed to take him home safely. Most people in these early days, unless they had a horse or vehicle, walked from Vaucluse to the city; especially on Saturday nights there were no buses, except one along Oxford Street to part of Woollahra. The general meeting place was the old George Street Markets, all chatting together about the happenings of the week, and preparations for the following one, up to a late hour, then walking home, calling at all the public houses, up to 12pm. I remember attending the Flower Shows in the Botanic Gardens, held in a large tent about 200 feet long. The entrance fee was 1st day, 2/6 for the “elite”, 2nd day and third, 1/- for the general public. I had a tin box with a slot in the lid, and placed the tickets inside to check cash taken – my late father was Hon. Sec. for a life-time of the H.S. of N.S.W. The Hon. J. Eales of Morpeth sent by steamer a fine collection of plants to these Exhibitions each year. Horse trams were running up and down Pitt Street to Redfern Station at that time, to the Quay. On May 24, 1869, my parents removed from Double Bay to Old Canterbury Road, Petersham, near Summer Hill (now); with drays and horses the journey occupied from 7am to 8pm. The roads were in a bad state, and the hills very steep, much steeper than at the present time. The leaders had to be changed many times, to help pull up the other drays. I thought I had travelled a hundred miles into the country! My late father established a nursery of 12 acres, known as J. & W. Gelding, Nurserymen, Seedmen & Florists, with a shop at Old George Street Markets. On arriving at Grace Bros. (now) on the opposite side, in the University grounds, was a very large pond. All carters, both ways, would take their horses and vehicles into it, and give the horses a drink etc. and sit there talking to one another before going on their journey. After leaving the University cutting, you came to Camperdown. I noticed a horse saleyard, opposite Missendon Road, then you came to the Toll-bar then the bridge; on the left a man named Macarthur had a pottery. The next I noticed was Johnstone’s Avenue of Norfolk Island Pines, extending back to his residence, to Brigg’s Paddock, Stanmore, and a forest reaching along the railway line to the Petersham Bridge. The next on the left you came to the Petersham Inn, by Mr Harry Hughes, on the right near the Old Bullock Road, Leichhart (now) a working men’s Institute, and the Bald Face Stag Hotel, by Mr C. Hearn, on the corner of Balmain Road. Further on you came to Metherill’s Bush (Norton St., now), his residence in the centre built by convicts in the early days. I have an old grid-iron at this date, 1937, given to me by a friend, it is about 3 ft. by 2 ft. with a long iron handle, very heavy – you could grill or roast half a sheep cut up at one time – used by the convicts when working at Wetherill’s house. Then you came to the famous Taverner’s Hill, much steeper than now – every driver was glad when the bottom was reached safely. On the right going down was a cattle saleyard, near Elswick Street (now). Next part of the journey you arrived at Old Canterbury and Parramatta Road, Battle Bridge. In the earlier days a battle was fought between the convicts and the soldiers of the Crown. The teamsters, both horse and bullocks, camped overnight near the bridge, then next morning went on to the city – that created a little village in that locality, near Lewisham (now) and Leichardt (now); on the corner of Old Canterbury Road, Mr Brown had a blacksmith’s shop, opposite a wood-cutter, Mr Cain, two or three Public Houses, Butcher’s Shop, and others, with some small cottages up to the Railway Line, a brickyard, McGill’s, near the Long Cove Creek made up the village. You then went through the one area under the Railway Line. In those days the city and outlying districts burnt only wood. I have seen hundreds and hundreds of wood carts in procession going along the Parramatta Road to Sydney and elsewhere. You understand in 1869 and for some years, there was no roads, only the Old Canterbury mud road about Lewisham, Summer Hill, Boulevard, Petersham, Dulwich Hill, right out to Canterbury, only fences and cart tracks, dividing the different estates. The Railway Line went over eight arches, at Long Cove Creek, between Lewisham and Summer Hill stations. On the left of one arch, a fence extended to Toothill Street (now) to Denison Road (Mr Hughes’) and back to Railway, with a brickyard and workmen’s cottages; the next estates from Denison and Toothill Street along the Old Canterbury Road, to Windsor Road, To Constitution, to the Creek, along Denison to Piggott Street, with dividing fences here and there. Mr Davis and Mr Fear were the principal owners. There were three slaughter houses, piggeries, sheep and cattle paddocks, stockyards, and a brickyard. You could count the dwelling houses on the fingers of your hands – a settler here and there. The few market gardens, about 4, were on the hills, owing to so much rain we had in the early days, a very wet winter, spring and autumn rains, and good thunder storms after a hot day in the summer. Everyone depended on their wells, tanks and waterholes for their supply of water. Many years after we had a 3 years’ drought – water had to be carted from Canterbury quarries, and other places. 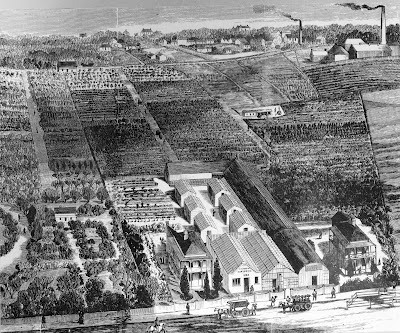 The Botany water shed supplying the city nearly exhausted itself – a temporary supply from the Nepean had to be hurriedly made by Hudsons Bros. with a large galvanised pipes across the suburbs to Botany, to relieve the situation. Where Summer Hill is now, a bush extended from Long Cove Creek to the Ashfield Bridge, along the Railway Line from Smith Street, all the rest was paddock, and stumps of trees, with cart tracks winding across to Prospect Road (now) to Ashfield. All the low-lying places were small ti-tree swamps. Mr Freshwater had a market garden at Prospect Road, Mr T. Scahill one near Rosedale Street. From Abergeldie Street to Hurlstone Park was all bush, as was all the Boulevard, to Lewisham St., Dulwich Hill, and mostly along the New Canterbury Road to Canterbury, and down to the Long Cove Creek. The ti-tree grew in abundance all along this creek. From Battle Bridge along the Parramatta and Liverpool Road to Ashfield Bridge had been a racecourse in the earlier days, not a tree, and only a low caretaker’s house with American aloes around it, not far from Summer Hill Station. On the right was the well known as Ramsay’s Bush, now Haberfield. Opposite Liverpool Road was Boylson’s Flour Mills and produce stores. You could get bread or produce to 12pm every night except Sundays. Every wood-carter or settler for a long distance would stop and get their week’s supply of goods, etc. When I came out to Petersham I had not seen a railway train for a short time – I would run to the top of the hill when I heard it whistle, to see it going on in the distance – soon got used to it. Crystal Street, Petersham, to Stanmore Road, to Livingstone Road, to Gordon Street (a narrow one) across the railway line, pass the R.C. old cemetery (now Lewisham Hospital) connected with Parramatta Road. The New Canterbury Road, only a cart track, to Canterbury. The first bus I remember ran from Five-dock to Sydney, by a man named Home. Some years after another one was started from Canterbury to Wynyard Square, twice daily, a five horse coach, by Mr Rogers. On Saturday nights it left the Square at 9pm. The conductor would blow his horn every few minutes in the city. You would have to walk home if you missed it. Perhaps it would be over an hour before they left the city -–from every shop and hotel people would be coming out, causing a lot of stoppages, and would crowd on the bus (it was a very large one) like a swarm of bees; all the way out to Canterbury they would be singing all kinds of songs, I am sure you could here them five miles away, in the night air. Sometimes the inside would be so full on a wet night, and a female wants to get in, they would ask a male to retire outside. My late father always had a good excuse, he would take out of his pocket a bottle of medicine, and show it to all that he was under the doctor’s orders. The driver and passengers always were relieved when we reached the bottom of Taverner’s hill, the most dangerous spot on the road, hoping the brakes, axles and the horses, and the heavy load, would reach there safely. Another dangerous one was the one arch just a little wider than the large coach, with a turn to the entrance, and 5 horses, splendid horses, and expert driver – I don’t remember any mishap. The Petersham Council Cambers meeting was first held in a small cottage, corner of Crystal Street and Stanmore Road, owned by Mr Potter until 1882, to 1937, then another new one to be erected in 1937/8. The Railway Stations in 1869 were, Redfern, Newtown, Petersham, Ashfield Redmyre, Granville, Parramatta, and the trains did not run so often, the last one on Sunday night being 10pm. Native cats, bandicoots, etc. were fairly numerous – I have killed lots of young snakes, up to 3 or 4 ft long, and larger ones, about Summer Hill, when chopping down the stumps for firewood. One day crossing the yard at my home I felt something brush my trousers. To my surprise it was a very large snake. I evidently had luckily first stepped over it, and it crawled between my legs. Had I trodden on it there is no doubt I would have been bitten. We had a lot of trouble before we found it underneath a large stack of billet wood, and despatched There was also lots about Cook’s River and Canterbury. I was walking along a narrow path near the river one hot day, bush each side of the path, when a tiger snake came along and erected himself his full height. I had a stout stick, and gave the reptile one blow in the middle of the back; one good blow generally will disable any snake. Strange, all the years I roamed about Rose Bay, Bondi and Cook’s River districts, and always barefooted, never receiving a snake bite. We evidently had the aboriginal eye, and always glanced down where we placed our next step in the bush. With reference to rats, I have never in my long life seen so many as was at this 12 acres of land my father started his nursery - they were there by the tens of thousands. The land was full of old sheds, slaughter houses, etc. All the rooms in the dwelling-house were full of holes. At night time it was awful - no sleep for some time. It was years before we mostly got rid of them, and all along the creeks around Lewisham and Dulwich Hill it was alive with them, no account of the piggeries and slaughter houses. Still some about here after 69 years. In my young days I roamed the wild bush from Petersham to Cook’s River (where the Wardell Road Bridge is now) – you crossed over in a rowing boat, to gather Umbrella ferns (Gleichina) and other kinds for the florist’s shop in the city. At that time large table bouquets were in favour. Most people and shops had one on their table, or in their window. 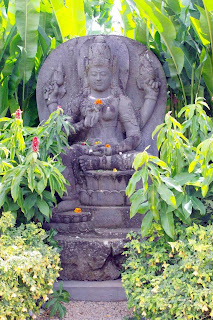 The ferns were used to finish off the bunch of flowers. I have gathered lots of maiden hair fern under the trees on the Boulevard, and about Hurlstone Park. What a wonderful sight was the wild bush flowers in there early days, about Hurlstone Park, Undercliffe, Earlwood, Woolli Creek, all inits natural beauty – the Epacris, Eriostemon, Dillwynnia, Orchids, a few Waratahs, Christmas Bush, Acacias, and lots of others too numerous to mention, and plenty of Sarsaparalla vines. The swamps were full of all kinds of ferns. Mr Starkey had a mansion and grounds at Cook’s River, near Ewart Street. Also what a wonderful sight the wild flowers were on the North side of the harbour in those early days, about Manly district, and right across the Northern Suburbs – Lane Cove to Hornsby, and the Hawkesbury River. I have travelled to Manly by the small steamer “Charlotte Fenwick”; sometimes it was so crowed that crossing the Heads we thought we would be overwhelmed by the waves, and sink – people screamed with fright, and everybody was very glad when we crossed safely. All that part about North Head, the native rose and Boronia Selialata, I will never forget the wonderful variety. There was an abundance of flowers all about Dee Why and Lane Cove Districts. I also roamed about the Blue Mountains, near the Valley Heights, and around to the Springwood districts – I have seen the ridges full of Waratahs by the thousands, in a blaze of glory – a wonderful sight. One plateau I came to, some of them were from 12 ft to 15 ft high, on a clear spot with no trees, only heath, etc. Any amount of Zamias, or Burrawang palms – I found one with a pine weighing 9 pounds. Looking for them, with others, we came to a hut, and a women with a child was there. We enquired about Zamias, but she did not know them by that name. “Oh!” she said, “you mean the Morgan Rattlers.” It seems that the seed of the Zamias is hard as a bone – they are very much like the Bunya Bunya seed of Queensland; when Morgan the bushranger was in the vicinity of the settlers, and the police were about, they would have a quantity of these seeds on a bag, a give him warning by making a great rattling sound with them. All the gullies up to Mount Wilson were a wonderful sight, full of every kind of fern, birds’ nests, rock lilies, etc. Opossums of a night were running about like swarms of rats – no value to them in those days. There were plenty of rock and scrub wallabies, native cats and Sassafras Gully was full of flying foxes – and what a sight that gully at that time! Also plenty of Koalas, or native bears, parrots, cockatoos. Have only seen a few Lyre Birds, but lots of magpies, crows, etc., and some very large carpet, black and other snakes. An incident occurred about a snake at Narara. When the Forestry Department was forming a nursery of 6 acres in the wild jungle there, after it was cleared rain came, and 6ft of water covered it. Then it was disbanded, and one formed at Gosford later on. They just cleared a track to their camps, at the end of the track, and pitched their tents to live in. The overseer one Sunday morning was leaning against a tree outside his tent having a smoke. The forest was very dense at that time. He had long whiskers on his face, and he felt now and again as if a fly was on them, and gently brushed them with his fingers, occasionally. He then turned his head round, and to his surprise a snake was stretched out from the tree, and evidently had been tickling him, and he thought it was a fly! He soon sprang away from the tree, and the snake glided away. We boys would have some fun with snakes, kill one, and stretch him out by the side of the road or path, then wait behind a tree. Someone would come along and see it, then go quietly away for a stick, then creep up and kill it again, then go home and boast about what a wonderful thing they had done! Large iguanas were numerous about the mountain slopes miles out of Springwood in these earlier years. I remember when the mountain was on fire, and of a night you would be kept awake with the noise of the large trees falling down. Referring back to the parrot tribe of birds, I have seen (and mostly in wet seasons) numerous flocks of all kinds, parakeets, rosellas, blue mountain, black and white cockatoos, and a few king parrots. You could catch them by the thousand, with a forked stick, and horsehair loops, tied on to an upright pole, and a caller parrot in a cage who would bring the flock down, and alight on the pole – soon as they moved to climb up they were snared by the neck or foot – all the fences would be lined with them. Yo could catch them with a loop on a long stick; they were so numerous and so common that there was no sale for them at that time. I worked for my father at his nursery for 30 years, laid out numerous gardens in the Northern, Eastern, Western and Southern suburbs of the city; also Landscape Gardener to the Haberfield Building Co. for some years; temporarily employed in the Forestry Department; supervised the preperation of timber specimens for the Adelaide Jubilee Exhibition in 1889; in business at 468 George Street, City as Nurseryman, Seedsman and Florists for many years; laid out garden on east side of Railway Station (since altered); gardener to Sir Hugh Dixon; and many other gentlemen in the suburbs. Specialised in the pruning of roses, shrubs, fruit trees, etc. Had many falls from the trees when pruning same, and not hurt, fortunately. One day I was felling a giant stone pine tree and had the rope tied to the main centre one, to a very thick branch, which I was cutting off high up; just as I was nearly through it, the main one broke off and down I fell, luckily with outstretched hands and legs, all amongst the branches and other shrubs, lightly to the ground. I assisted the head gardener lay out Hon. J. Frazer’s grounds at Springwood. We transplanted good specimens of Christmas Bush, Waratahs, etc., and Tree ferns, having to carry them up the cliffs one at atime, in a canvas handy barrow. Joined the Manchester Unity Oddfellows, 13 November, 1877, at the Rose of Denmark Lodge, Queen Street, Woollahra. Transferred by clearance to Ashfield Lodge, 26th November, 1878, then to Petersham Lodge, 11 August, 1880. One of the founders of this Lodge, with my brothers Jack and Sam. Immediately took office, passed two terms, through the various offices. Received past grand’s certificate 8/12/86; served as Auditor, and Trustee for some years, also the position of Treasurer and Assistant Secretary, and Financial Secretary for 23 years, to 1915, and still in office, in 1937, at 79 years of age, as Treasurer and Assistant Secretary. Received a wonderful testimonial on my resignation in 1915. Represented the Lodge on District Committees, and contributed many articles, and reports to the M.U. Journal. A member of the Horticultural Society and Association for many years. Presiding Officer a long time at Federal, State and Municipal Elections. All those who had the pleasure of seeing me in the sport of cricket, eulogised me as a most wonderful fieldsman, in any position on the ground, anticipating the batsman’s strokes, and making a lot of remarkable catches, calling me by the name of emu legs and wings, etc. At 12 years of age I started to play cricket with a club named Sydenham, all grown men but myself. In 1873 I was a member of the old Petersham C. Club. Some of those connected with this were the families of Seales, Loveridges, Dawes, Marrs, Geldings, etc. The members formed a good turf wicket at the end of what is now Westbourne Street – no roads at that time, all paddocks, with afew cottages near the main road. We played all the metropolitan clubs, Warwicks, Carltons, University, Belvideres and others, and successful against all of them. I won the 2nd Eleven average in that year. Then I played with a 2nd Petersham Club – Fred Luland was Captain – on Petersham Oval; but the club did not last very long, owing to the Council’s high charge for the ground on Saturdays, taking all the batting fees. I had some high averages, and made a good many big scores. Then I played with the 3rd Petersham Electorate C.C. Club formed, up to 1903, winning the batting and bowling average (age 45), scores of 132, 120 n.o., 98, 80, 70 and others. Previously I played with Summer Hill and one season scored 111 n.o, 112 n.o., 80 n.o., 50 n.o., and lots of others. Played with Rathlins, Stanmore and Oriental C.C. on Moore Park in 1886-7-8. We won the Riley Cup and medals in that year. Married Emily McKay January 25th, 1883; issue 4 sons 2 daughters. Eldest son Alfred Hugh was Crown Lands Agent and CPS; died August 9th 1927. 2nd son Hugh McKay in the Water and Sewerage Board (Draughtsman). 3rd son Herbert in Burroughs Adding Machine Co. 4th son Harold Graham at J. Keeps & Sons; killed in the Great War October 4th 1917. Daughter Amy Mary a missionary in East Africa. Daughter Alice Winifred at C.M.S. Depot Sydney. Special thanks to Sidney Gelding. With the recent decline of the plant nursery trade it's interesting to reflect on the state of the business in the 19th century. One notable example is the Sydney nursery of John & William Gelding. 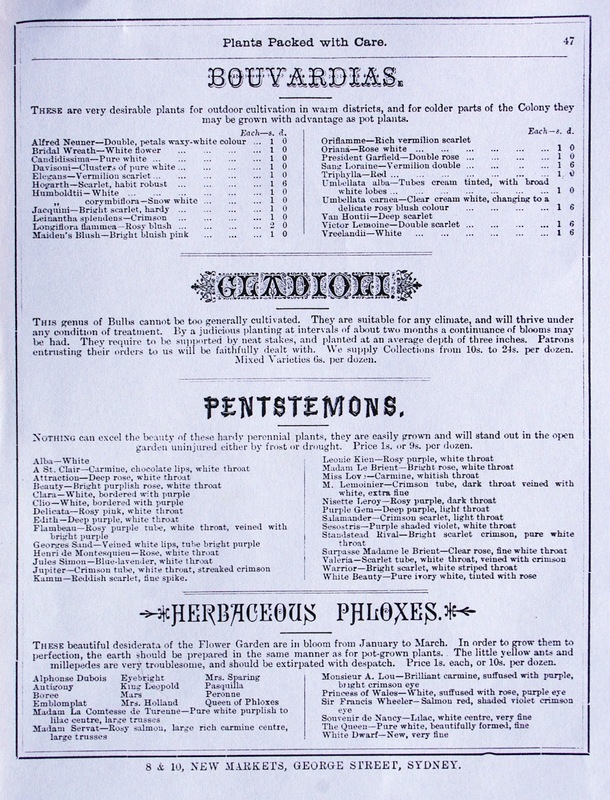 Just one look at their prolific plant list dispels the myth that nineteenth century Australian gardeners had little interest in growing plants. One of the earliest and longest running plant nursery businesses in Sydney's west was J & W Gelding's Victoria Nursery in Petersham (now in present day Dulwich Hill). This business was owned by John and William Gelding and operated from its site in Old Canterbury Road for over 30 years. Brothers John and William were prominent members of the New South Wales nursery trade and their life and work is of interest to both local historians and students of garden history. The Gelding brothers were both born in London. 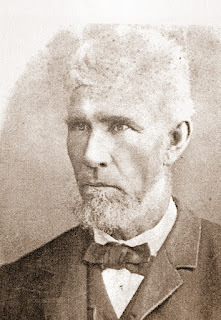 John was born about 1828 while his younger brother William was born in 1839. John migrated to Sydney in 1853, while William arrived in 1858. After arriving in the colony John worked for many years as a senior gardener in several of the leading gardens in Sydney, including Elizabeth Bay House. In 1861 the Gelding brothers went into partnership as J & W Gelding, General Nurserymen, Seedsmen & Florists and opened their first nursery in Rushcutters Bay on the eastern edge of the city. About the same time the two brothers opened a retail seed and florist shop in the old George Street Market in the city centre. 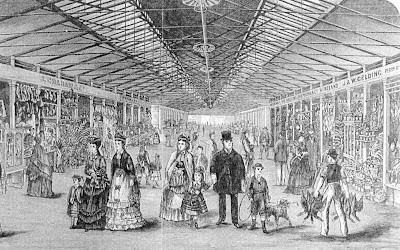 Opening a shop in the city was common practice among the nursery trade in the second half of the 19th century. Within a short time the production nursery moved further east to Cross Street, Double Bay. On 24 May 1869 the Gelding brothers moved their nursery business to the new district of Petersham on the western fringe of the city. They set up their new nursery on 12 acres of land on Old Canterbury Road. In the second half of the 19th century the establishment of nurseries in Petersham and Ashfield districts was popular for the same reason as garden centres of the city fringes are today: access to cheap land, reliable water supply and close proximity to the city. This was made possible by the new western railway line, and not by the road system that was still far from efficient. You could count the dwelling houses on the fingers of your hands – a settler here and there ... With reference to rats, I have never in my long life seen so many as was at this 12 acres of land my father started his nursery - they were there by the tens of thousands. The land was full of old sheds, slaughter houses, etc. All the rooms in the dwelling-house were full of holes. At night time it was awful - no sleep for some time. 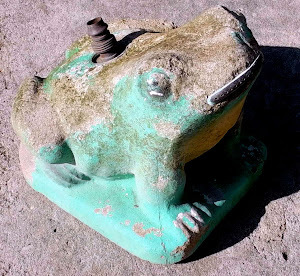 It was years before we mostly got rid of them, and all along the creeks around Lewisham and Dulwich Hill it was alive with them, no account of the piggeries and slaughter houses. The Gelding nursery produced an annual catalogue. 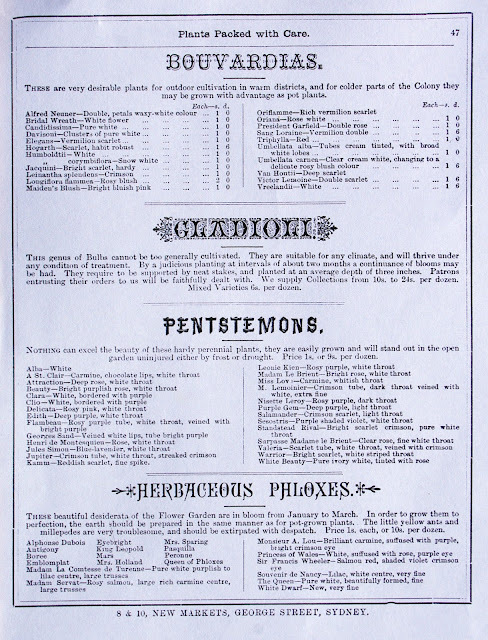 Although none of the 1860s copies survive, many of the Petersham era catalogues have. These catalogues and an article on the nursery in the Illustrated Sydney News indicate that the nursery retailed a large and diverse range of plants and seeds. 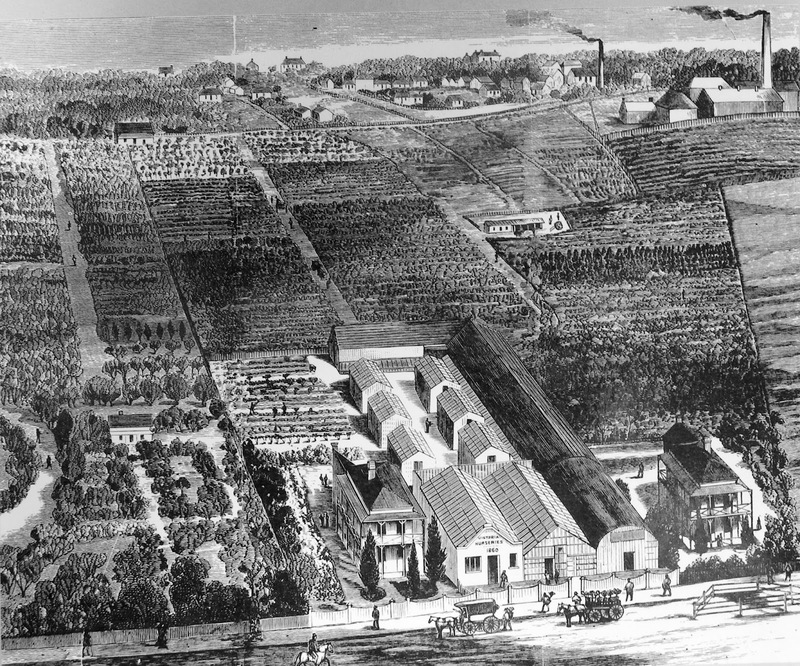 Unlike today, the nurseries of the 19th century grew most of their stock on site. Some of the other fruit plants listed include: Apricots (25 varieties), Plums (68 varieties), Nectarines (26 varieties), Figs (24 varieties), Gooseberries (18 varieties) and Grape Vines (63 varieties, mostly table selections). During Sydney’s 1879-80 International Exhibition, the Gelding brothers were awarded six medals of merit for plants, cut flowers, and bouquets. The awarded badge of prize medallists appeared prominently on later Gelding Nursery catalogues. The 1880s was a boom time for housing in the Petersham area and the Gelding brothers decided to sell half their property. The money from the land sales would have helped fund the major renovation of the nursery that took place in about 1882. After renovation the nursery comprised a number of modern glasshouses, designed for growing different types of plants. During the present winter the place has undergone a complete revolution. New ground has been broken up, the departments re-arranged or transferred, and the old and somewhat over-grown portions have had to yield to the progress of settlement, and been sold for building purposes. It is practically, therefore, almost a new establishment. The residences of the firm are just newly built – the conservatory, the stove, and propagating houses, and even the extensive bush-shed (some 270 feet in length) with the adjacent structures, are all the work of the present season, and largely supersede the older structures. There has been a long tradition of the nursery trade being closely involved in landscape gardening and it seems that Gelding’s Nursery was in this business sideline. 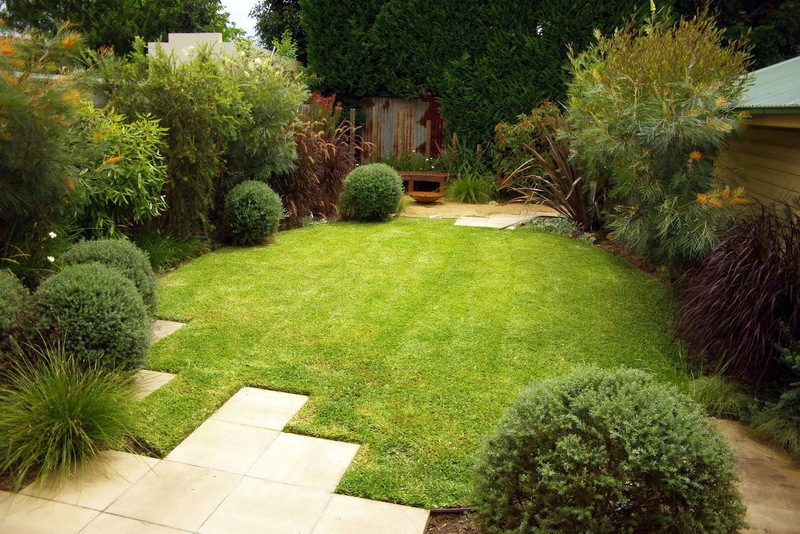 The firm touted for landscape gardening business in its annual catalogue. Landscape gardening continues to be a speciality with us, and can be undertaken either by contract or day labour, writes one of the Gelding brothers in 1889. 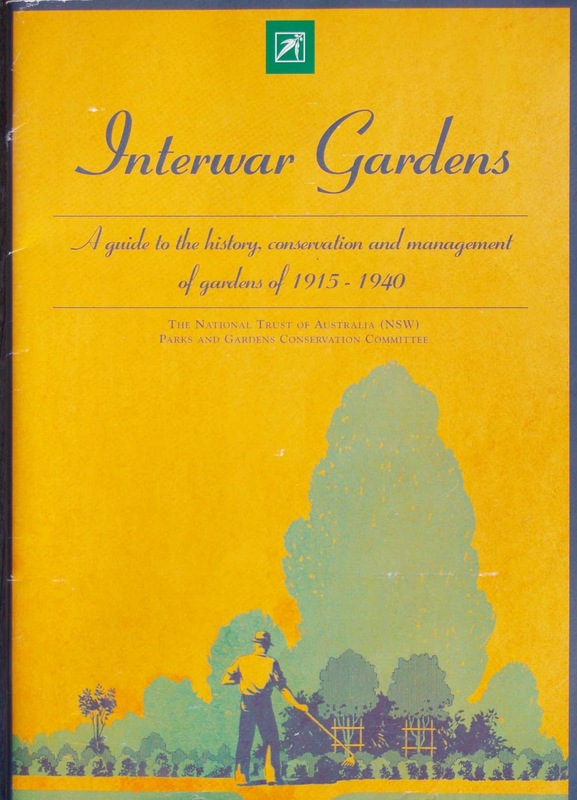 The 1897 catalogue states: we still undertake laying out gardens, renovating and keeping in order old gardens, pruning in the winter months, and general planting. On Wednesday 14 July 1897, William Gelding became suddenly ill in the nursery packing shed and died on the 16th. He seems to have died of a heart condition. He was 58 years old. His funeral service was at the Church of England Parish Church of St Andrew’s, Summer Hill. More than 200 people attended and he was buried in the Church of England section of Rookwood Cemetery. Among the mourners were prominent local nurserymen John and Frederick H Searl and their families. William was survived by his wife Rachel. He had seven children and at least four were alive at the time of his death. Elder brother John died at home on the mourning of 8 March 1900. He was 72 years old. John had been in poor health during the previous six months after being knocked down by a buggy as he was about to board a tram in Park street in the city. He was buried at St Paul’s Church of England in Church Street, Canterbury. He was survived by his wife Mary and seven children (five sons and two daughters). Seven other children had died before him. His children later donated an avenue of trees for Petersham Park. This avenue planting may be the camphor laurels planted near the Anzac gates in Brighton Street. We know little of John’s personality but Alfred, in his unpublished reminiscences, writes with affection for his late father. John and Mary Gelding’s eight room house Myannville (on the east side of the nursery) was sold in 1904 and was later subdivided into two lots. The John Gelding house survives despite the large number of owners since. Entry to the house is now by Hampstead Street. William Gelding’s house Finchley (on the west side of the nursery) continued in family ownership until the death of William’s widow Rachel in 1916. The house still survives. 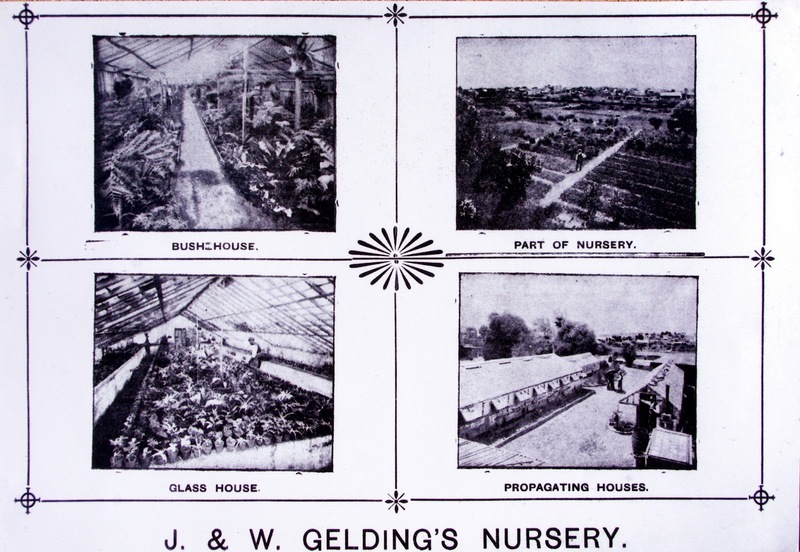 Gelding’s Nursery was not the largest nursery in Sydney during the 19th century, but was large enough to offer a large and diverse range of plants to Sydney’s new western districts. The legacy of John Gelding is his comprehensive summary and description on the state of the Sydney nursery and horticultural trade in the second half of the 19th century through his published writings. This is invaluable to garden historians studying colonial plant selection as well as those researching the early history of Sydney’s horticultural and nursery trades. This article is an abridged version of an article first published in Heritage (the journal of the Marrickville Heritage Society) in 2004. An electronic text based version of this article including references is available from me by request. I look forward to hearing from readers, especially members of the Gelding family, who may have information about the life and careers of these important early Australian nurserymen. My name is Silas Clifford-Smith and I have been working as a horticulturist in the Sydney region for over 22 years. 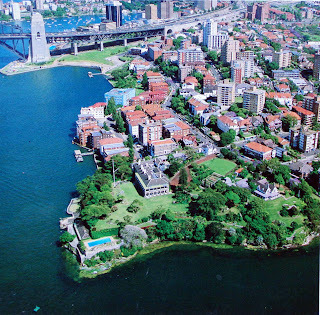 During the 1990s I was the Senior Horticulturist at Admiralty House (the Sydney residence of the Governor-General of Australia). 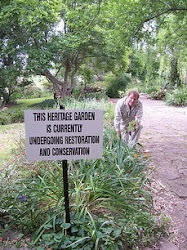 Subsequently, I was employed as Head Gardener for the National Trust in New South Wales. While working for the National Trust I looked after several of their gardens including Springwood (the Norman Lindsay Gallery & Museum) and Experiment Farm Cottage. While with the National Trust I also acted as an adviser on many of their other regional gardens, including Everglades. As well as many private commissions I have also worked for the Historic Houses Trust at Vaucluse House, Rouse Hill and Elizabeth Farm. In recent years I have been working mainly in private practice around Sydney. 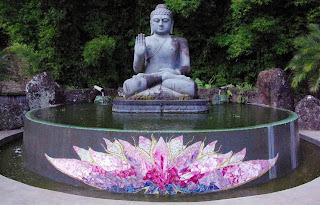 Projects include one-off major restorations as well as regular maintenance of new and established gardens. I also work as a landscape consultant advising garden owners on planting plans, maintenance programmes and advice on heritage matters. As well as this, I also prepare land title searches for council development applications. My qualifications include an Associate Diploma in Horticulture from Ryde College of TAFE as well as a Bachelor of Arts degree from the University of Sydney. I occasionally lecture on garden and heritage related matters and have written widely for a broad range of publications. 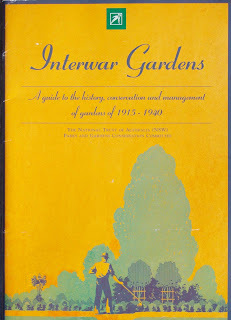 I wrote Percy Lindsay: artist and bohemian (2011), and co-authored Interwar Gardens (2003) and contributed a series of entries to the Oxford Companion to Australian Gardens (2002). On Saturday 21st July 2012 there will be a study day in Sydney on the history of the plant nursery trade during the first half of the last century. 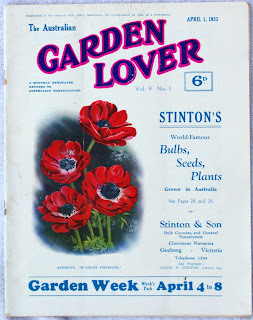 The event, formally titled as Glamour and Grit - New Stories for Garden History, will be held at The Mint, 10 Macquarie Street, Sydney and will run from 10am- 4pm. Speakers include Silas Clifford-Smith (on Sydney's lost nurseries), Megan Martin (on WW2: The Commonwealth Vegetable Seeds Committee, and Anderson & Co), Chris and Charlotte Webb (Berrima Bridge Nurseries), Colleen Morris (on Paul Sorensen before WW2), Stuart Read (on Max Shelley and Jocelyn Brown) and Michael Lech (on Wunderlich's garden ornaments). This event is organised by the Historic Houses Trust in collaboration with the Australian Garden History Society and coincides with The Garden of Ideas, a national travelling exhibition at the Royal Botanic Gardens, Sydney. Trying to enjoy a visit to a large tropical garden in the middle of the day can be quite exhausting especially when it's very hot and humid. Recently walking on my own through the large Perdana Botanical Garden in Kuala Lumpur the lyrics of Noel Coward's comic 1930s song 'Mad dogs and Englishmen go out in the midday sun' soon came to mind. With sweat pouring down my head I could see hardly any one in the gardens apart from a few park workers resting under shady tropical trees. Located just north of the equator, Kuala Lumpur - or KL as its more popularly known - is the capital of Malaysia. While there are few outstanding ornamental gardens in the city the large Perdana Botanical Garden is well worth a visit, even in the heat of the day. Dating from the 1880s this park-like garden was originally known in colonial times as the Perdana Lake Garden but has since been elevated to the status of Botanical Garden. Perdana is now over 100 hectares in size and is dominated by a large ornamental lake. Dotted through the gardens are a number of themed sub-gardens which are well worth seeking out. 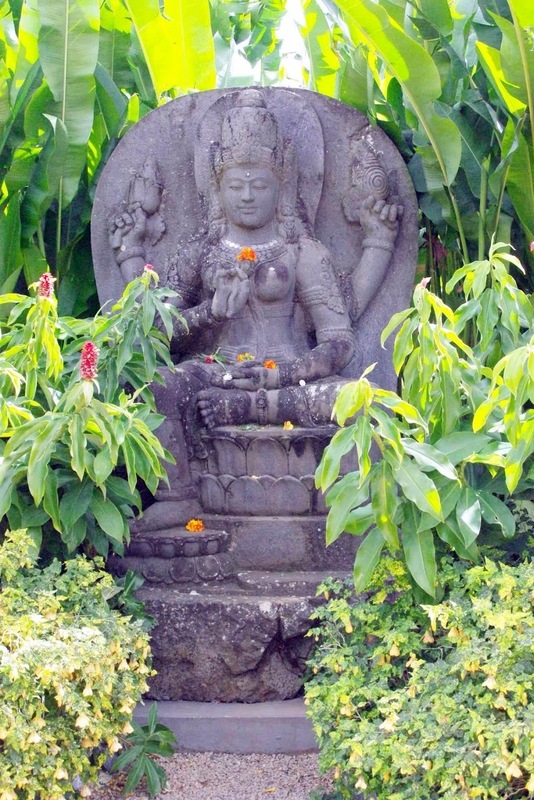 These include collections of heliconias, hibiscus, plumeria and even herbs. Children would also like seeing the deer park. While lesser-known, internationally, than the nearby Singapore Botanical Gardens, Perdana Botanical Garden seems to strike the balance between ornamental park servicing a city in urgent need of green space and the role of scientific botanical institution in an area desperately under threat from habitat loss.While some parts of the gardens were not to my taste, overall the look of the garden is visually appealing and you can easily spend a couple of hours mooching about. As well as the themed gardens within Perdana, close by is a small orchid garden that is also well worth a visit. Most of the plants are labeled and there is also a shop that sells orchids. Although located in the middle of KL I would recommend getting to the Botanical Garden by bus or taxi as the road system is not conducive for pedestrians.